Enjoy a day at the beach without even leaving the house! 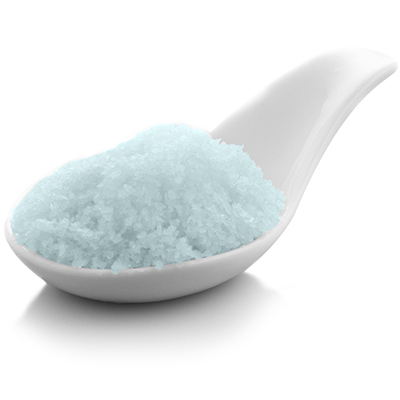 The fresh aroma of our Summer Beach bath salts will create a relaxing atmosphere as you soak in the tub. You'll feel as if your on an exotic beach somewhere surrounded by a clean, crisp breeze. A fine/medium grain blend of Pacific Sea Salt with a crisp, fresh scent in a light blue color. Color: Light Blue (actual color may differ from color shown on your screen). Scent: Summer Beach Fragrance - A calming scent, like fresh air on a warm day at the beach. Ingredients: Pacific Sea Salt, Fragrance, Glycerin (Vegetable Glycerin), Tocopherol (Vitamin E), Aloe Barbadensis (Aloe Vera) Leaf Juice, FD&C Blue 1 Lake.